The Unreal Engine 4 is powering most modern high-profile games, and several upcoming titles will also be taking advantage of the engine’s features. 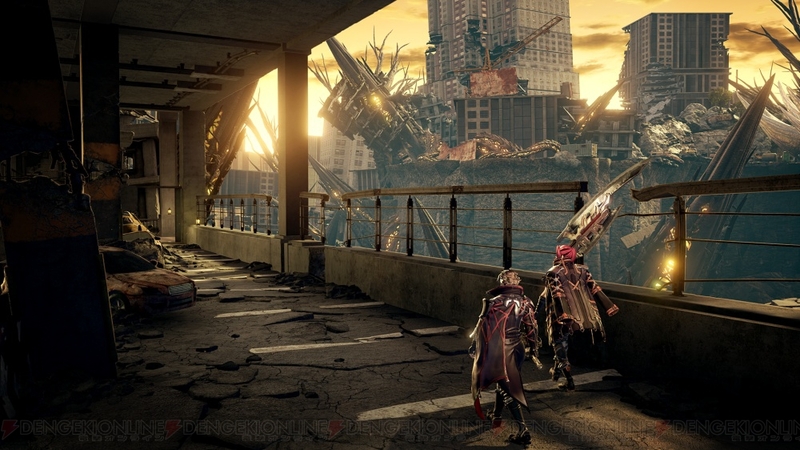 Among them is Code Vein, the action role-playing game currently in development by the God Eater team. In a recent Japanese presentation, members of the team have demonstrated how the Unreal Engine 4 is making it easy to introduce some detailed adjustments to the game without a programmer. As reported by Japanese website 4Gamer, during the presentation, members of the team managed to introduce a change following feedback received during the presentation on the fly, which is definitely impressive. Code Vein is setting up to be the game fans of challenging action role-playing games in the vein of the Dark Souls series will want to play next year. Last month, Bandai Namco shared some additional information on the game’s mechanics. The Focus System can temporarily increase characters abilities during battle. This is best used when receiving and dodging attacks or surrounded by multiple enemies. The Focus System allows players to fight back in extreme situations, acquiring a power boost when intentionally placing themselves in danger. They can negate an attack, increase their own attack and throw enemies in the air! The Partner Action will help players during fights. Companions will support players by attacking during battles, enhancing the skills and sharing Health Points when needed. Code Vein launches sometime next year on PC and consoles. We will let you know more about the game as soon as possible, so stay tuned for all the latest news.